THE GOLD KEY UNIVERSE BEGINS HERE! Classic Characters by some of Comics Hottest Creators! - Magnus, Solar, Turok and Dr. Spektor! Dynamite is proud to present an all-new adventure ongoing from superstar GREG PAK (Batman/Superman, World War Hulk) and incredible artist MIRKO COLAK (Red Skull: Incarnate, Conan)! Shunned from his tribe, a young Native American named Turok fights to survive, making a lonely life for himself in the unforgiving forest. But his hard-won cunning and survival skills face the ultimate test when man-eating THUNDER LIZARDS attack his people! Why are dinosaurs here? How have they survived? 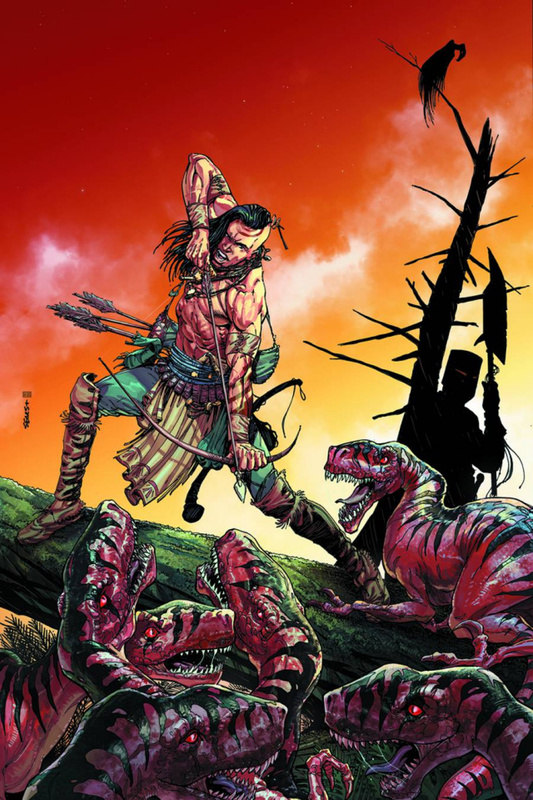 And will Turok use his abilities to save a society that's taken everything away from him?